This guide describes the technologies and techniques one uses to generate leads when running a WordPress-based business. The first step is to create a lead magnet. A lead magnet is a free, downloadable product that your target market values so much that they will trade their email address for it. Examples are: an eBook, white paper, software product, report, tip sheet or video series. Even though it’s free, you should still spend a lot of time and effort in both determination of the magnet and creation of it. Investment up front will pay off in the long run. Digital Marketer has a great article on the different types of lead magnets and how to create one strategically. Next, create an attractive image for your magnet. You’ll need this when enticing people on your site as well as reminding email subscribers what they’re getting. Fiverr: Site where people will do all sorts of odd jobs for only $5, including graphics of various types. Not the greatest quality most times but sometimes you can get some nice work done. GraphicRiver: Still reasonably priced, but more expensive than Fiverr, but usually a lot nicer stuff too. 99Designs: Higher-end design shop that uses of competitive design bidding to get you quality work. Submit a spec for your graphic, then multiple artists submit designs which you then pick from. If you can afford it, this is a great option. 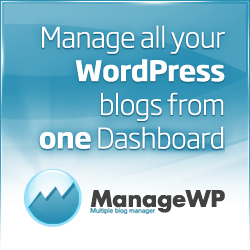 If you have a shared host and don’t expect a lot of downloads or your magnet is relatively small, simply upload the file directly to your WordPress site. In the event you expect your magnet to take a lot of bandwidth (high downloads/large size), consider a Content Delivery Network. A CDN replicates your download to many servers around the world, making it available to people even if there are local network outage. It also delivers it very quickly because of the distributed nature of the system. This article talks about the several CDNs available to you. Most people recommend that you to create a landing page – a page tightly focused on what benefits your business provides which can then move your audience into quickly and get the lead magnet (through submitting their email address). This is technically an optional step, depending on how your site is set up. You may just want the form to pop up no matter where people are on on your site. If you decide to go with a landing page, you have a few options. The quickest and cheapest option is to use a landing page template from your existing theme, assuming it has a good template. Another option is to learn about good landing page design and create your own page or page template. How to Make Great Landing Pages. Article discussing general principles of good landing page design. How to Create a WordPress Page Template. This is the ultimate way to create a landing page from within an existing WordPress site. This option is more for technically minded since some knowledge of both HTML and PHP is required. The third option is to get a new theme. Free ones are out there but I’ve found if you want a good looking, professional theme, it’s worth spending some a bit of money. Theme Forest. I have personal experience with their most popular theme, Avada, and found it to be excellent. There are other great themes on there as well. Now it’s time to choose an email list service you’ll be using to nurture your leads and make various sales pitches as time goes on. MailChimp. This is one of the most, if not THE most popular email marketing service on the net. They offer quite a few features, including multiple list management, autoresponders and drip campaigns. AWeber. Great service for those with more serious needs and includes better email tracking capabilities. The next step is to create a mailing list on the email marketing system that will be used to collect your list of users. It’s important to give people access to your magnet only after you’ve confirmed their email, not right when they sign up on your website because you don’t know if the email address they’ve supplied at that point is legitimate or not. Change the following email templates on your email marketing system. This excellent video walks you through all the below steps. The video uses MailChimp, but is worth viewing no matter which email marketing service you go with. Add a picture of the magnet. Replace default thank you page supplied by the email marketing system with the magnet download page – this magnet email page is either one that was created from in the Final Welcome Page or can be a link to your own WordPress landing page you’ve set up with a way to download your product. Keep your sign-up form as simple as possible to minimize the ‘friction’ involved at collecting the lead’s contact information. You have two options here. All the major mailing services have form-building capabilities built in to their websites. These allow you to pick and choose which fields you want to collect. Choose the option that you want an embed the form. This will allow you to add the form directly onto your website. After you get the HTML code from the form, you can either add the code to a WordPress Text widget, insert it into a page or add it using a plugin that accepts bits of HTML. This article and video describe how to set up an embeddable form in MailChimp and then retrieve the HTML code which you would then paste into your site. Another option is getting a WordPress form plugin that connects to your email marketing service. Easy Opt-Ins for MailChimp. Nice plugin that gives you a simple but effective opt-in form that ties into MailChimp. You just enter your MailChimp API key, the list to push to and this does the rest. WordPress Popup – Optin Revolution. Optin form plugin that supports multiple email providers including MailChimp, AWeber, GetResponse and several others. Ninja Forms: Ninja Forms is a spectacular plugin that allows you to create a large variety of forms for free. They have paid options for tieing into the major email providers including MailChimp, AWeber, Mailpoet and several other. Now you should have a running lead generation system running on your WordPress site. The next thing to do is come up with various email campaigns and build trust with your leads. This next phase is often called Lead Nurturing. If you have any questions about the content of this article or other related items, feel free to shoot me an email.